Lyndsay Swanston is only 16 and can add ‘battling a burning car’ to her resume. “It was amazing,” said the Burlington resident. 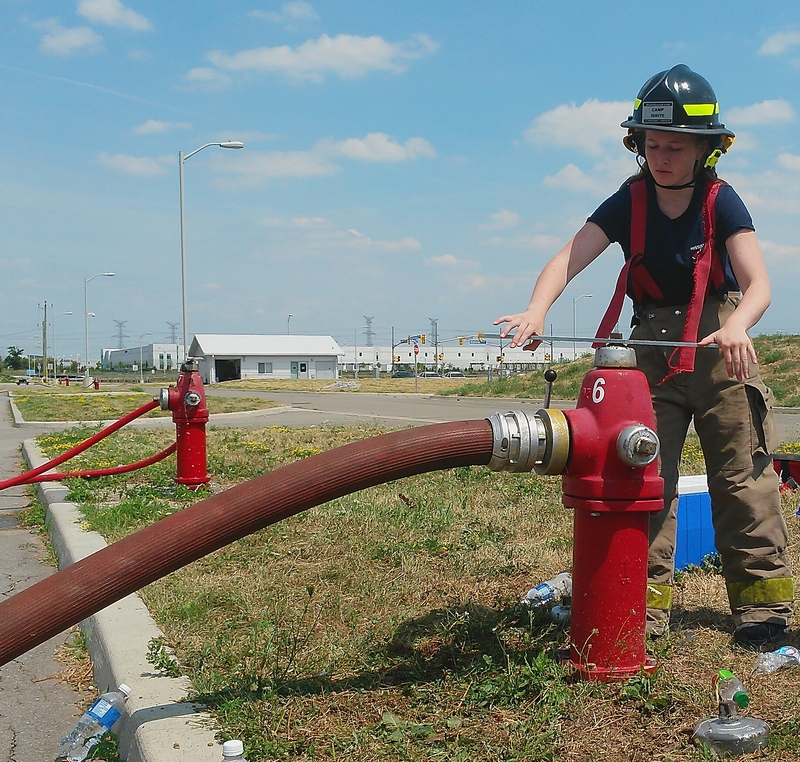 Swanston is one of 18 participants at Camp Ignite, a five-day firefighting camp hosted by the City of Mississauga targeting girls ages 15 to 19. Wednesday’s forecast wasn’t in their favour. 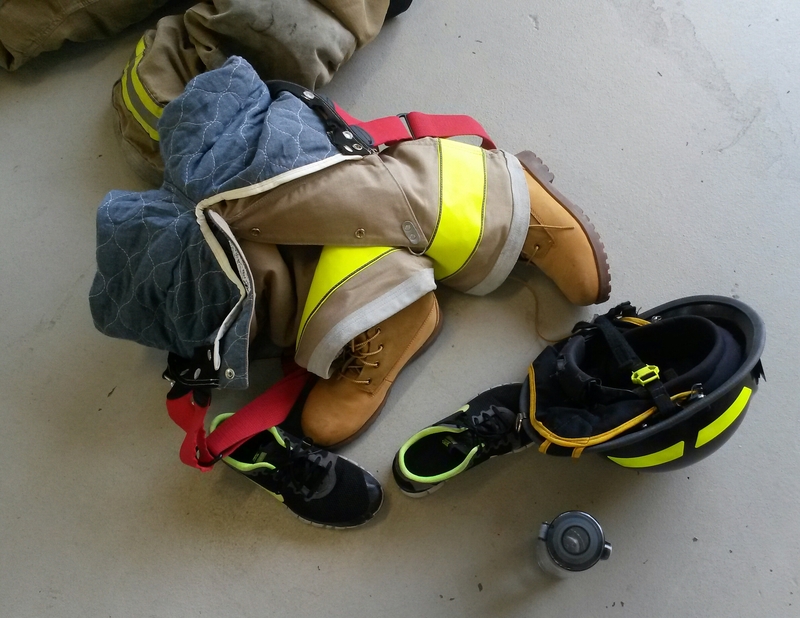 Feeling like 42 C with the humidity, the girls were dressed in full gear, rappelling down a six-storey structure and deploying the hose at the Garry W. Morden Centre in Lisgar. “It was actually harder than I thought to put out the fire …I thought if I just focus on one section and move to the next it would kind of go out in order but that did not work because it just spread,” said Swanston. “This hose is pretty heavy,” said Swanston. Communication, she learned, was important, specifically when it comes to speed. “When I was going forward we were going too fast and I couldn’t keep up, so I had to let them know to slow down,” said Swanston. As for the temperature, “it’s kind of hard to differentiate” the heat between the sun, flames, and equipment, she said. Sweating aside, “it’s been a super-cool experience,” said Victoria VanSickle, 18, of Oakville. 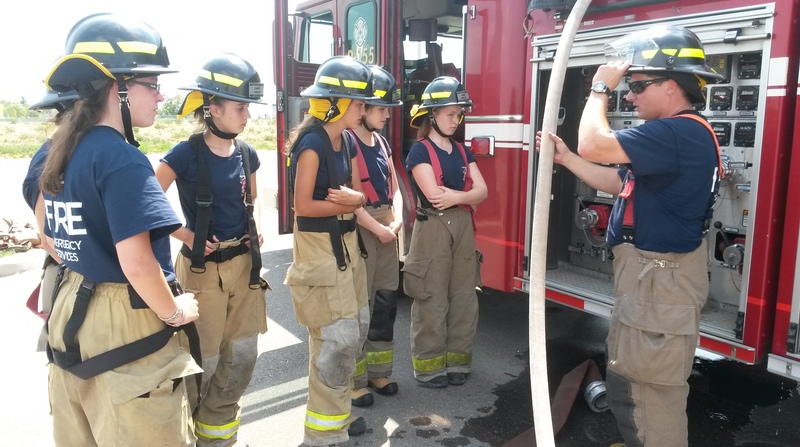 VanSickle says she accompanied her uncle, Bob Hall, a Mississauga Fire training officer, to a ‘take your child to work day’ in Grade 9 and knew firefighting was a career worth exploring. “Not many kids our age get to do this,” said VanSickle. Faith Dunford, 17, of Hamilton was beaming after rappelling. It was “darn fun,” Dunford said. The hardest part so far, she says, is working in the heat while wearing “oven mitts” for pants. The training course is meant to get girls excited about working in the field. “They’re loving it,” said fire captain Shelli Varela. Varela is Mississauga’s first female firefighter and only female fire captain. 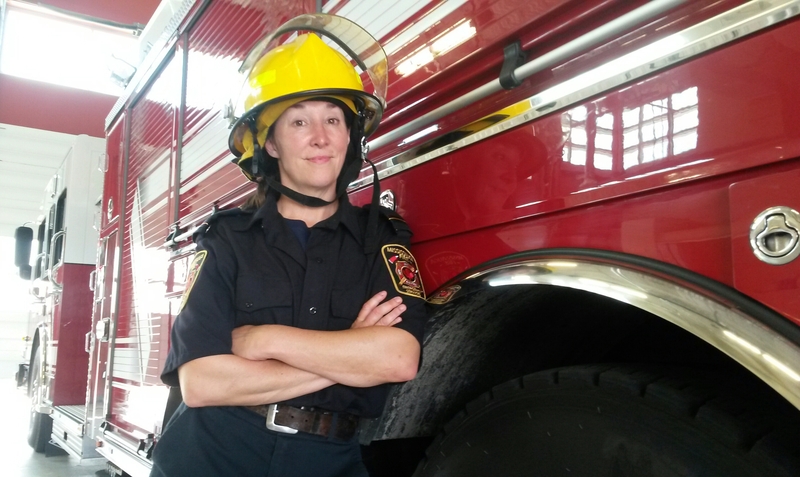 As of November 2015, women make up three per cent of the city’s frontline firefighters. “I think it’s not necessarily important that women are represented in the fire service,” said Varela. She says she’s not “personally a proponent of hiring quotas. I’m a proponent of hiring the best, and if the best happens to be white males, that’s fine, but if the best happens to be all women, that’s fine too,” said Varela. The girls attending Wednesday are “athletic and a little more rough-and-tumble, and a little more team-oriented,” said Varela.